Finding unidentified treasure in the home is a staple of daytime TV – but usually it’s for something unexpectedly worth a few hundred pounds. 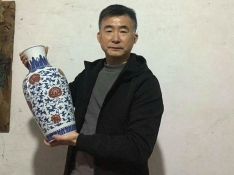 Yet in this extraordinary case, an antique Chinese vase that eventually sold for £25 million was found during a house clearance specialists. 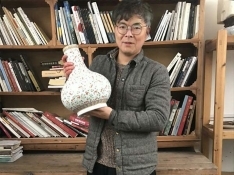 The vase was discovered in the attic of a home in the north London suburb of Pinner and it was then passed on to Bainbridges auction house in Ruislip which deals with house clearances and probate valuations. The vase was inherited by a Mr Johnson and his mother from their late sister Patricia Newman in 2010. Mrs Newman’s husband had inherited it in 2010 from his uncle who had brought the piece back from China. This exquisite 16-inch tall vase – hardly the usual stuff of a house clearance – was made for the Qianlong Emperor who reigned from 1736 to 1795. It is a famille-rose, double-walled porcelain piece which means its elaborate decoration was created by adding tiny pieces of gold suspended in water to the glaze. The vase was probably made for the Emperor’s Summer Palace in the Forbidden City, a huge and lavish complex of formal gardens, water features and palaces in Beijing. 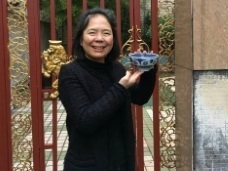 It’s likely that the vase found its way to England after the 1860 looting of the Summer Palace by the British which occurred at the conclusion of the Second Opium War. And after its discovery in the Pinner house clearance specialists, controversy continued to haunt the vase. At the original auction sale in 2010, a presumed Chinese buyer closed the sale with an astonishing bid of £43 million, which would have been a total of £53 million with the addition of 20 percent commission. 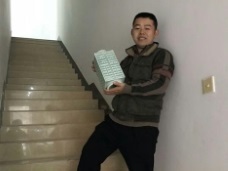 This was a record price for a Chinese artwork. 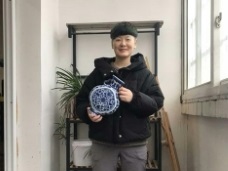 During the 21st century, wealth Chinese individuals and state-owned companies have been increasingly anxious to repatriate Chinese works of art that have turned up abroad. This has caused a dramatic upward pressure on prices. However, apparently put off by that extra 20 percent commission, the buyer pulled out on this occasion and the deal fell through. But in 2012 another anonymous buyer from the Far East agreed to pay in the region of £25 million for the vase and a private sale was completed. 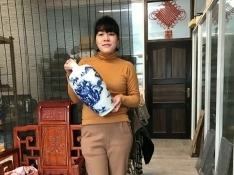 This tale of antiques of unknown value in the attic and ultra-wealthy Chinese buyers well illustrates the crucial importance of hiring trustworthy professionals when the sad death of a relative necessitates a house clearance. Always be sure to hire a trustworthy firm with impeccable credentials.